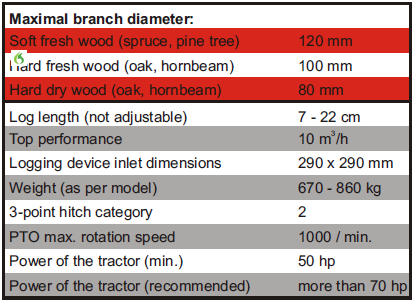 – Posted in: Urban Branch Loggers - SPRING SALE up to 20% off. 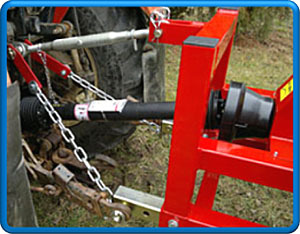 The TR 110 branch logger is mounted to the tractor by three point hitch. The drive is provided by a V-belt via a PTO shaft with an overload clutch, at a torque of 1600 Nm. This will stop the chipper from operating if a branch is too big. The tractor and branch logger are protected against overload by the overload clutch. 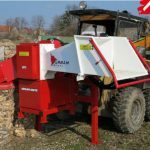 The branch logger is controlled by the tractor’s hydraulics and the optimum height is when bag filling device is about 80 cm but the ground. 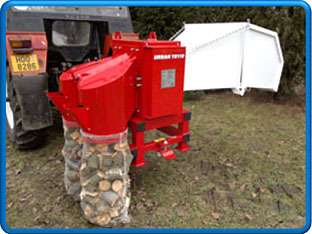 Chains, which come with the branch logger keep the machine in position. The knives which chip the logs are made from tool steel and can be re-sharpened. Knives should be re-sharpened after about 1000 bags of processing. Urban TR 110 with double bagging for raschle bags. Urban TR 110 with Big – Bag bagging. 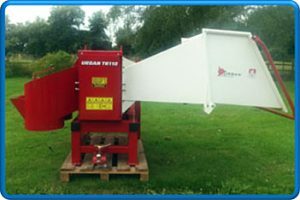 Urban TR 110 with belt conveyor 2.6 m length, oriented to decide. 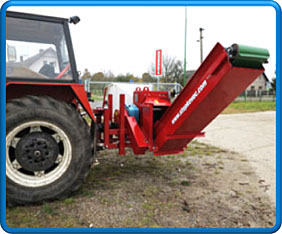 Urban TR 110 with belt conveyor 2.6 m length, oriented backward. 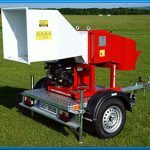 Cardan with overload clutch for TR 110. Included in the price. 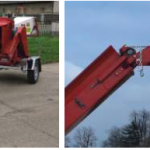 Safety chains against falling tractor hydraulics. Included in the price. Tow ball diameter 50 mm for trailer connection (thread M 24). Included in the price. Flywheel for TR 110 – with cover and assembly. 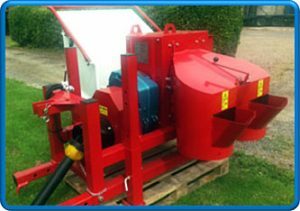 Additional slide to the belt conveyor, length 1 m.
Double bagging for raschle bags on the end of conveyor belts. Addition frame with electric drive for TR 110.